All our professionals at American Dental maintain the highest levels of accreditation and pursue ongoing education to stay abreast of the latest trends in dentistry. Georgetown University School of Dentistry in Washington, DC and began his practice in 1985. 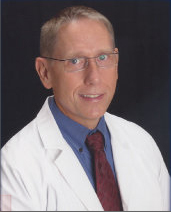 In 1996, Dr. Pleickhardt began a period of international travel and practice. He provided dental care for the diplomatic and expatriate communities of Moscow and St. Petersburg Russia and after three years moved to Prague, Czech Republic where he opened the first American Dental office in 2001. Dr. Pleickhardt holds certificates in Orthodontics and Laser Dentistry and is provider of Lumineers Cosmetic Veneers and Invisalign Orthodontics. Additionally, Dr. Pleickhardt has incorporated the use of the iTero Scanner to take digital impressions of crowns, implants and Invisalign Orthodontics. Leslie grew up near our Gainesville location and attended Battle Field High School. Her specialty is customer service and is standing by to make your next appointment or to assist you with getting the best smile possible!